I came across this as I was doing some random google searches, and found this quite neat. I can’t verify if the tortoise actually belonged to Darwin, but I couldn’t help but imagine the stories that the tortoise could tell. 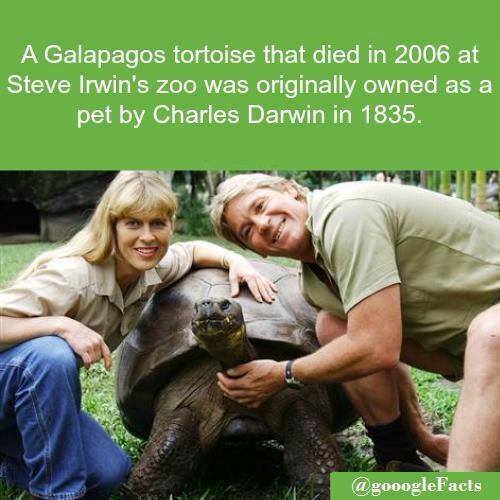 If the picture is true, then that would have been pretty awesome to have been met both Steve Irwin and Charles Darwin!